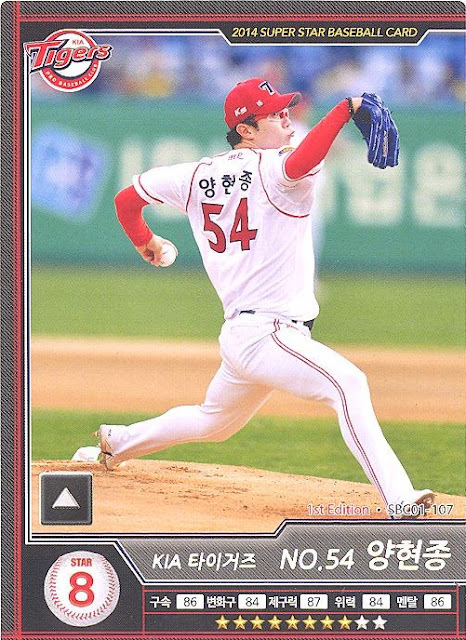 This was the first set I collected after moving to Korea in Jan 2014. 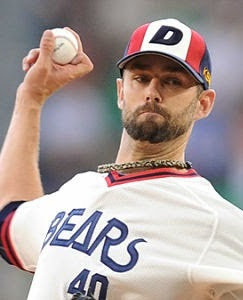 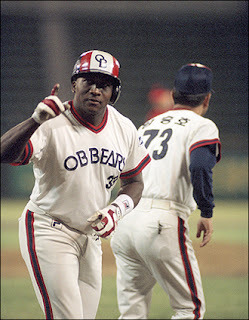 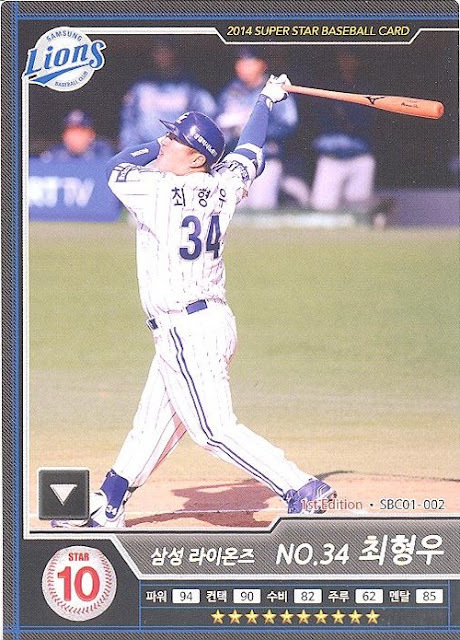 I had bought a box or two and then searched for more information online and was thrilled to have found Dave's Japanese Baseball Cards blog and we discussed the set and have been buddies since. 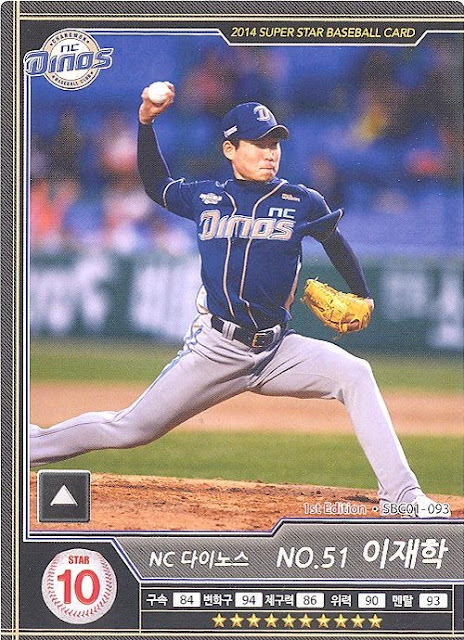 At first I didn't think much of this set but it's become sentimental with my time here and I've come to like it more, especially the usage of the silver foil used in the short-printed Big Star cards. 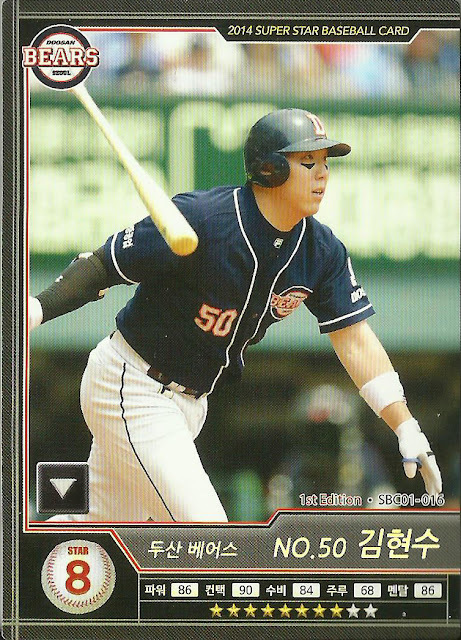 Admittedly, the card distribution for this set and others was rough and I'm still short a single card to complete the full set (#108). 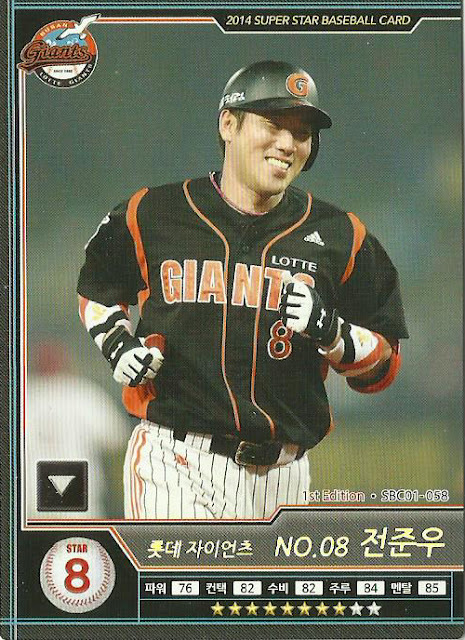 I had to trade for some of these Big Star cards. 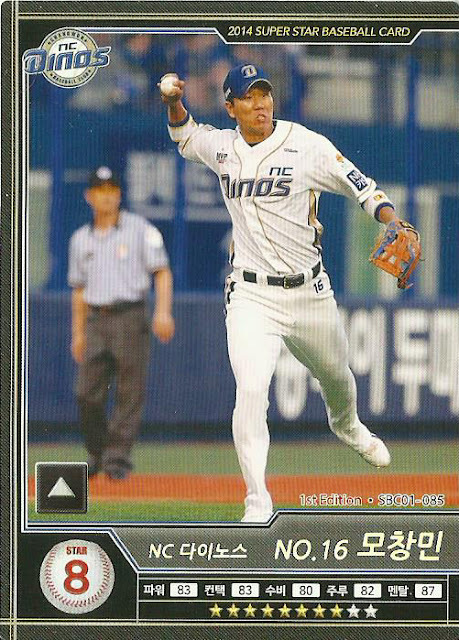 The Big Star cards, which have the card number and name in silver instead of the base yellow, totaled 18 in the set, two per team. 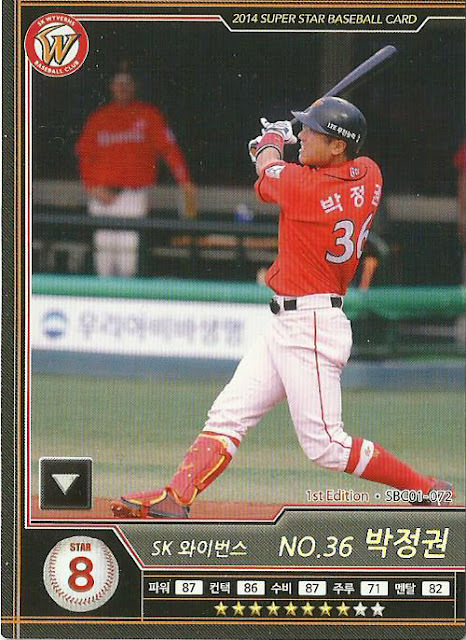 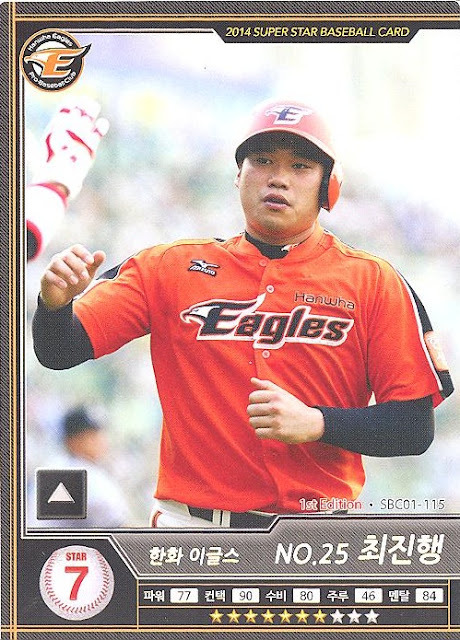 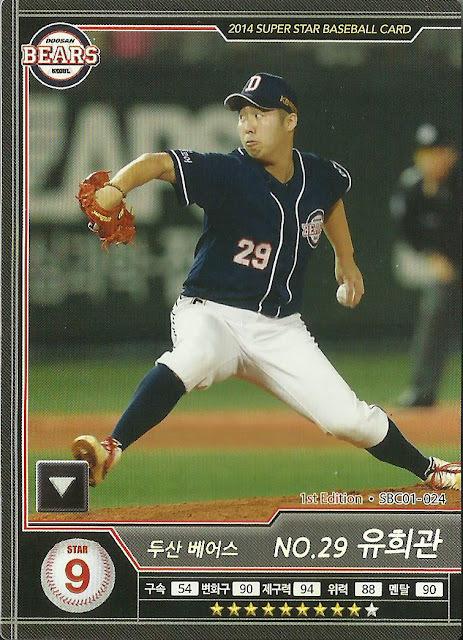 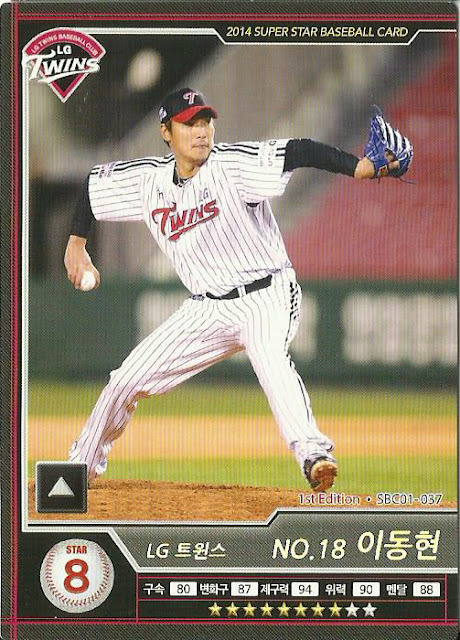 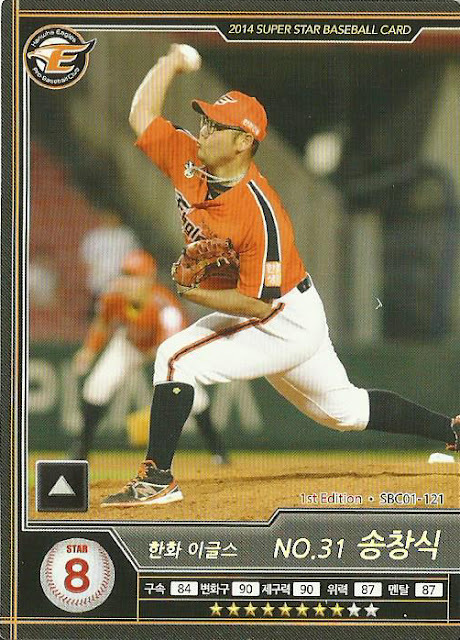 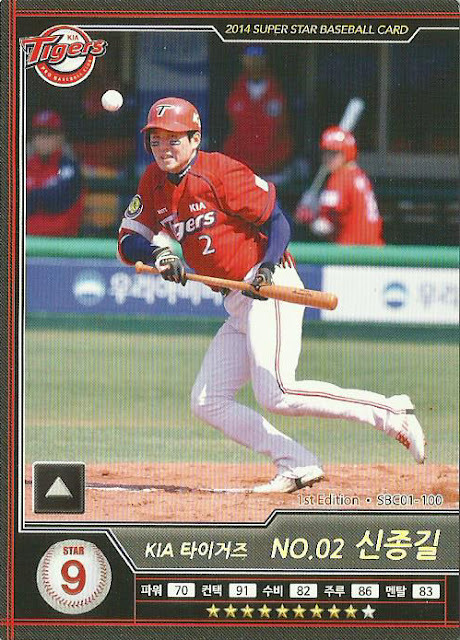 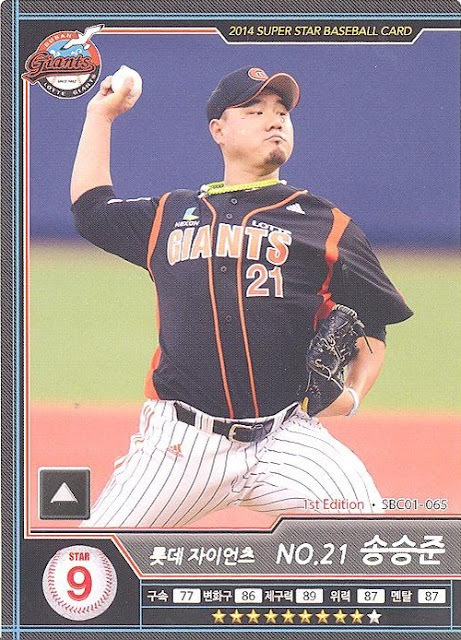 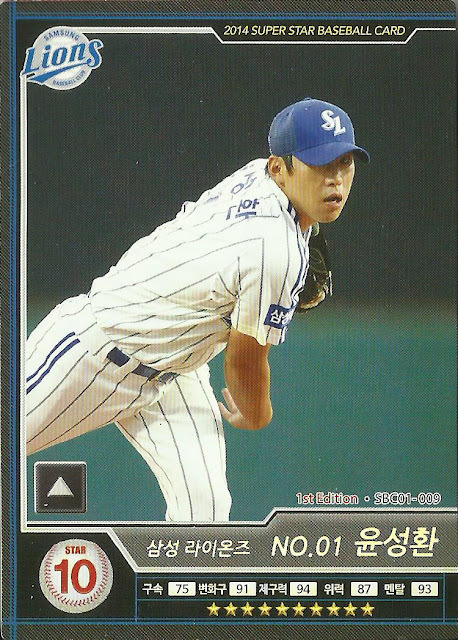 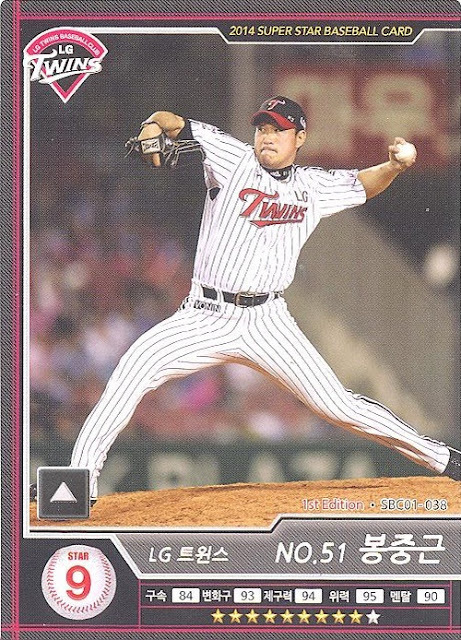 Card #016 is Hyun-Soo Kim's (김현수) first, non-team issued rookie card. 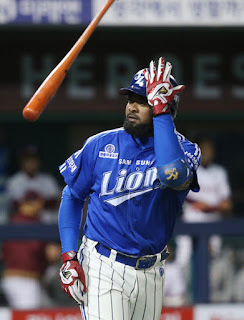 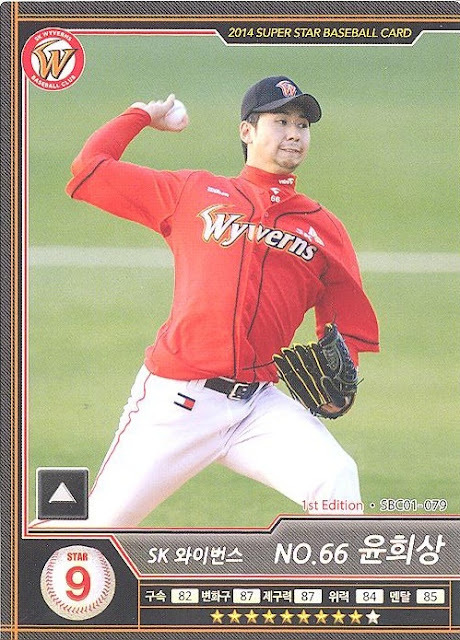 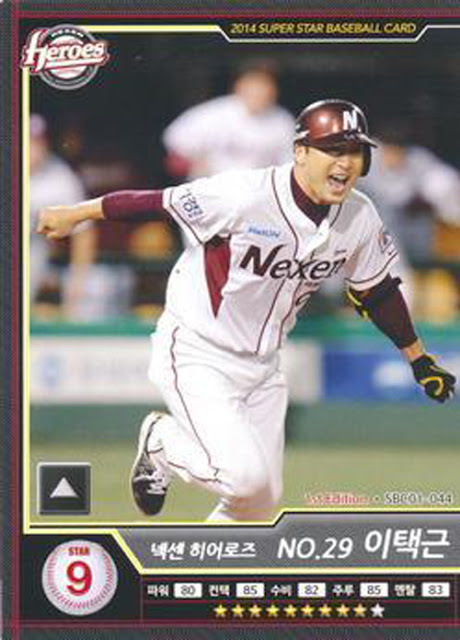 Since this is the only league set released since the unauthorized 2010 Trading Card Set, this set will have rookies of many players, including Choi Hyoung-Woo (최형우), formerly of the Samsung Lions, now Kia Tigers. 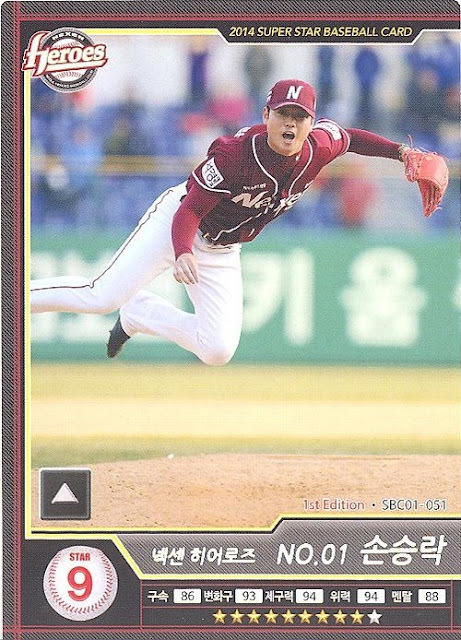 I have uploaded the set to the Trading Card Database here.